Shetty Enterprises is a leading name in safe and sound conveying system provider. 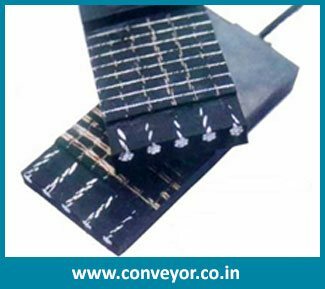 We are considered as major manufacturer and exporter of exclusive series of conveyor belts that goes well with inestimable applications of variety of industries. 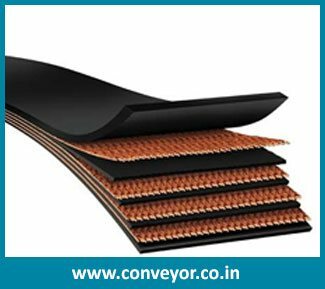 Our research work has granted us to develop conveyor belts with ample range of material for different kinds of operations. We offer matchless automation for conveying the goods, materials or products with reliably perfect way. 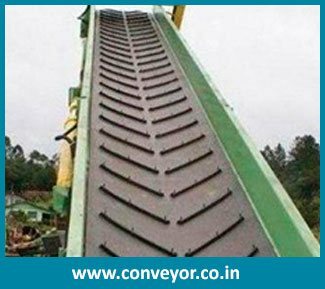 Our range of conveyor belts comprises fire Conveyor Belt, General Purpose Conveyor Belt, Chemical Conveyor Belt, Chevron Conveyor Belt, Sidewall Conveyor Belt, EP Conveyor Belt. 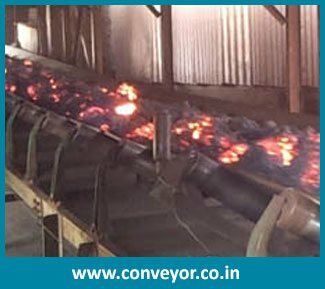 We also offer Fire Resistant Conveyor Belt, Rough Top Conveyor Belt, Steel Cord Conveyor Belt, Heat Resistant Conveyor Belt and custom belts. If it is food grade material for conveying or for corrosive applications, we hang about punctual utilization of material for most advantageous and beneficial output. Our cost-effective series of products are highly demanded in India as well as in foreign countries like Yemen, Morocco, Oman, Dubai, Qatar, Kenya, Bahrain, U.A.E, Nigeria and many more countries worldwide. Our Company manufacturers first establish using conveyor belt systems at the tail-end of the 1900s. The first one that we know of was introduced to the world in 1795. It was built up on a wooden slider bed, a leather conveying belt, pulleys, and a hand crank. Seamen and merchants used it to load products and goods onto ships. After this, the use of conveyor belt for some time. It preferred up repeatedly in the late 1800s, instigated on by the demands of prospectors and the expanding automotive industry. First, in 1892, American founder Thomas Robins designed a conveyor belt at the charge of Thomas Edison. Edison aspiration to have a capable way to cart coal and metal from the coal mines run by his company, Edison Ore-Milling Company. Robin’s solution was a conveyor belt with segment sewn together with wire. His originality demonstrated success, and it took first prize at both the Saint Louis Exposition and Pan-American Exposition. It also took the glorious prize at the 1900 Paris Exposition. Next to conveyor belt, in 1901, a Swedish company called developed a stainless steel conveyor belt with which they could convey gravel. In 1905, an Irish prospector rotated engineer named Richard Sutcliffe fabricated the very premier underground conveyor belt. This conveyor belt alternated excavation automatically, as it extremely cut down on the labor enforced to get materials from the defending to above ground. Just three years later, engineers invented the roller conveyor. In 1913, Henry Ford used the conveyor belt as the constraint accent of his automotive collection line. By connecting the collection line with the conveyor belt, he showed the world how to produce products manufacturing much faster and further regulated. Quickly, other manufacturers in other industries adapted his system for their purposes. Brief changed with conveyor belts for many years, during 1957, when B.F. Goodrich created and patented a rubberized stainless steel conveyor belt with an extensive service life than any conveyor belt before it. It was set aside from others by catching a half twist that, by disclosing both sides of the surface area, cut the revelation to each in half. Over time, as scientists established stronger materials, Goodrich engineers came up with even more stable conveyor belt products that did not require the twists. An American company called Intralox copyright the ahead plastic conveyor belts in 1970. Since then, many other companies have received in on the plastic conveyor belt. 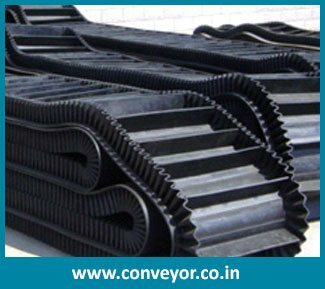 Today, conveyor belts are available in an extensive range of rubber materials and polymer materials. They are accomplished of functioning in countless environments. With good reputational status as leading manufacturer and exporter of high quality conveyor belt, we have expanded our trade links to other countries of various continents. After surveying various industrial activities of different countries, we export our conveyor belts to Dubai, Mali, Qatar, U.A.E., Bahrin, Nigeria, Kenya and many more. 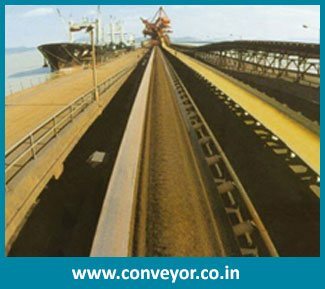 We offer wide range of conveyor belts like Conveyor Belt for Mining, Conveyor Belt for Textile, Conveyor Belt for Power station, Conveyor Belt for Construction, Conveyor Belt for Food Processing, Conveyor Belt for Metallurgical and many more. 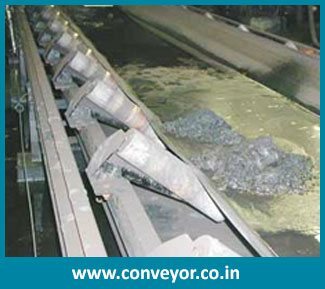 PU Conveyor Belts operate that continuously. They are the most ordinary type of conveyor belt. As such, they are used for an extensive variety of applications, such as an industrial coating, draining, heating, cooling, drying, mining, and logging. 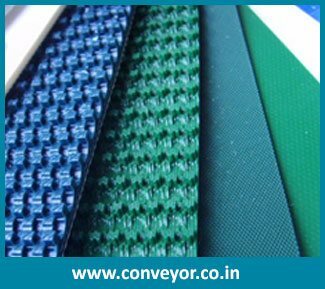 PVC Conveyor Belts manufacturer with single or multiples, have a great application in a different light, medium and heavy industries, including Food & Pharma, Bakery & Confectionary, Meat & Poultry, Packaging, Wood working, Glass, Ply & Board, Automobile, Electronics, Health & Fitness, just to name a few. Food Conveyor Belt processing and packaging food faster with a lower life-cycle cost, less downtime, and decreased product waste requires the proper product, technology, and processes active simultaneous to produce plant proficiency and productivity the number one goal. These belts offer excellent features for all types of food processing: release properties even for very sticky foodstuff, wear- and abrasion-resistant coatings, and sophisticated chemical resistance to cope with common cleaning agents and food ingredients. Pharmaceutical Conveyor Belt is giving a quality clarification for handling medical equipment between processes like filling, capping and packaging. A number of machines are equipped with the conveying belt systems for ease of movement of materials and finished products. 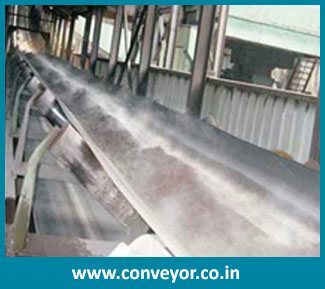 To provide unmatched solution associated with the end user conveyor belt requirement to upgrade their operations while optimizing cost. To strive for excellence and innovation in everything we do and be a trustworthy partner of the consumers worldwide.